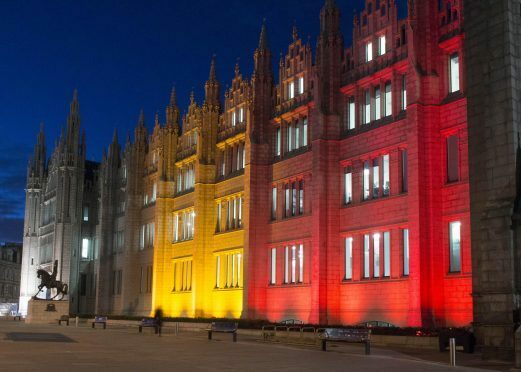 An iconic Aberdeen building has been lit up with the colours of the Belgian flag, to pay tribute to the victims of Tuesday’s terror attack. More than 30 people were killed and 270 injured in Brussells, when bombs were set off at the airport and a metro station. 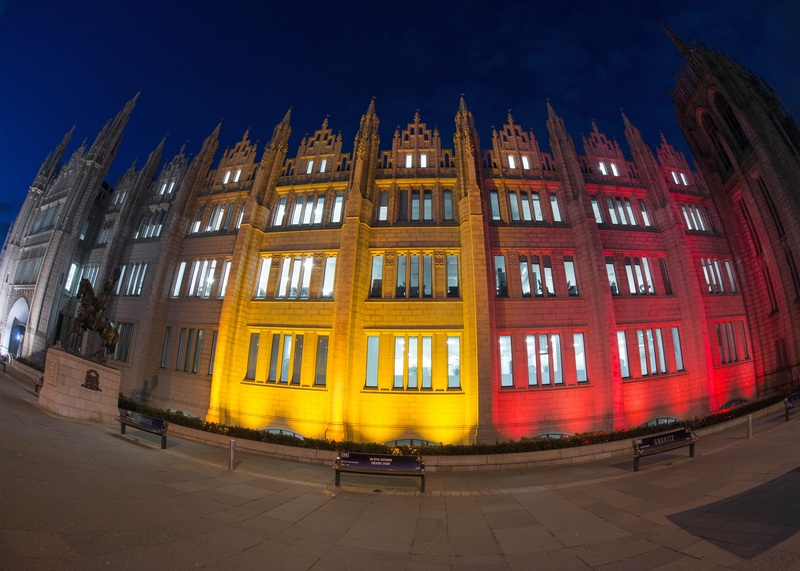 Aberdeen City Council has now lit up the front of Marischal College, on Broad Street, in black, yellow and red today and tomorrow. 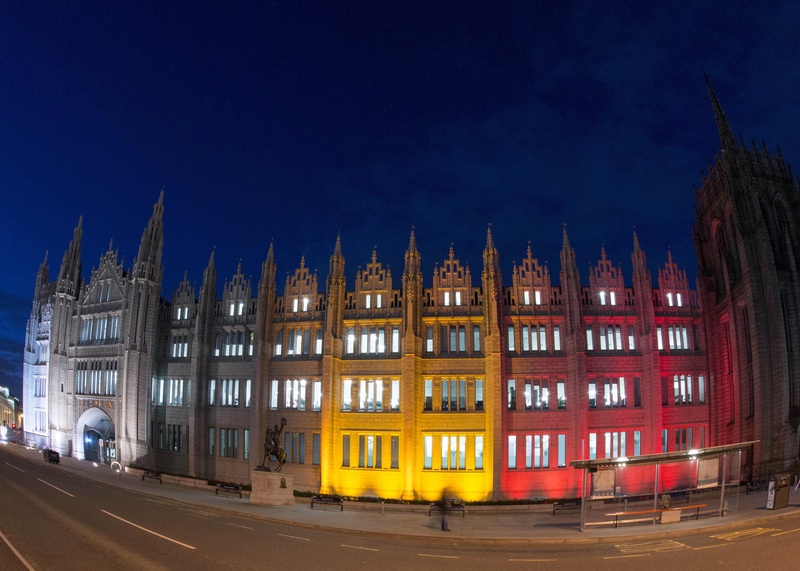 Aberdeen City Council Leader Councillor Jenny Laing said: “It is devastating another attack has taken place just four months after the tragedy that occurred in Paris. “We welcome the message of reassurance from the Deputy Chief Constable particularly given that at times like these communities may well be anxious. The historic granite building will be lit up again tomorrow night. The authority paid similar tribute to the victims of the Paris terror attacks last year.